The first decentralized VPN app has been launched on the Google Play Store from Mysterium Network, a crowdfunded organization. 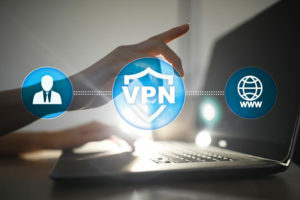 Android users who want to use a VPN to secure their internet connections can enjoy boosted privacy with a newly launched decentralized VPN app called Mysterium. This app has already been made available on Windows and MacOS desktop platforms in the respective app stores. For mobile phone users, the decentralized VPN app for Android has been released and the iOS version will also be out soon in 2019. Mysterium is being touted as the first such app on the Google Play Store. The versions available now are the test alpha versions. The stable version may emerge in due course. The first point that you will want to know is how the decentralized VPN is different from the kind of VPN you find already available in the market. The major distinction is the way the traffic is routed once it leaves your connection. In the conventional VPN, there is one centralized server. In the Mysterium VPN, the traffic gets dispersed all across the network and not to a single server. This makes it safer for you to use your internet without worrying about the data being intercepted or even traced back. There are two aspects to this. Firstly, your system stands isolated and there is no way someone could trace where you are accessing the internet from. More importantly, there are occasions where law enforcement agencies may make a request to internet service providers (ISPs) to give them access to users’ data. Their intentions may be genuine, in the sense that they are trying to solve a crime and feel their internet correspondence may be of use in solving the crime. To help the law enforcement and to be seen to be on the right side of the law, your internet service providers and even VPN providers may be keeping a back up of the data. The new decentralized VPN will not have any such arrangement. And that is why it is unique and is creating a stir in the market. A majority of service providers, whether ISPs or VPN apps, are on the lookout for revenue—and sharing your personal information, such as email address or phone numbers, can fetch them income. In other cases, there are advertisers who can popup their ads on the pages you are visiting, thereby breaching the privacy you are entitled to enjoy. With Mysterium Network, you need to have no such fears since it is a crowdfunded outfit and does not operate for a profit. The only noble objective the organization has is to ensure internet security. It has become a global concern, and even though the cybersecurity firms invent new ways to secure your computer systems and networks, the hacking community manages to stay a few steps ahead with newer weapons to mount attacks. The ones to usually suffer are the ordinary folks who are not so highly knowledgeable on computer-related issues. They trust the service providers and often end up paying the price for it. These are the reasons why a decentralized VPN app like the one now on offer from Mysterium could just be good for cybersecurity innovation. The app is already sitting on your app store. You need to just download and install it. You can then enjoy endless internet activity. If you have video streaming services like Netflix, which offer location-based services, the VPN lets you escape detection. As described above, you can enjoy interception-free internet knowing very clearly that the data being transmitted out of your system is not being stored or recorded. Your system or your location cannot be traced back. And you will escape from being trolled by ads and messages you just don’t need in the first place.